Mr. Oulashin began his Soo Bahk Do training at age three (3) at Camas Soo Bahk Do. He achieved his Cho Dan rank at age 8, E Dan at age 10, and Sam Dan at age 13. In 2011, he successfully completed his Jo Kyo (assistant instructor) certification and currently assists with classes at Camas Soo Bahk Do. 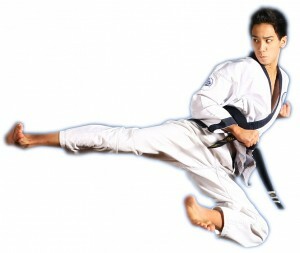 Since he began training he has consistently placed in sparring (deh ryun) and forms (hyung) at annual regional and national Soo Bahk Do championships. He, along with another Camas Soo Bahk Do member – Jordan Johnson – represented Region 10 at the 2014 & 2015 National Championships performing a team hyung demonstration. In October 2013, he traveled Adelaide, Australia to attend the annual Soo Bahk Do Moo Duk Kwan SEALS Seminars along with Master Oulashin. While there Kwan Jang Nim H.C. Hwang requested he teach several children’s clinics adding to his already growing youth leadership responsibilities. In 2014, the Region 10 Dan Association members selected Mr. Oulashin as the region’s Youth Leader representative. He is responsible for organizing youth activities held in conjunction with regional event. In October 2015 he traveled to Seoul, Korea to support Region 10 Ko Dan Ja Shim Sa candidates and to participate the in the World Moo Duk Kwan 70th Anniversary along with hundreds of members from around the world. His connection with other youth members inspired him to travel to the Swiss Soo Bahk Do Summer Camp in July-August 2016. In November 2017, Sean was invited as a Sa Dan (4th Dan) candidate to the USA Ko Dan Ja Shim Sa in Montgomery, TX. He tested along with his mother, Anna Oulashin, Sa Bom. In June 2018, after seven years, Sean was promoted to 4th Dan! He has also served the Region 10 Dan Association as the Vice-Chairperson and facilitated the region’s annual Richard O’Donovan Scholarship competition. When Mr. Oulashin is not teaching or training in Soo Bahk Do, he enjoys performing magic and cardistry, Parkour, creating videos, and photography.